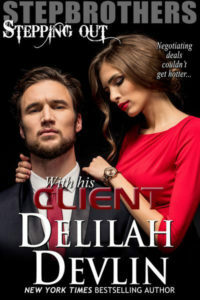 Let me start by saying thanks to Delilah for having me on the blog today! Since Halloween is right around the corner, I wanted to talk about ghosts and haunted houses. I lived in a haunted house for numerous years. It was a very beautiful, historical house, but never really felt like a true home. Over the years several visitors had said they’d seen or felt the presence of someone standing in their room at night. We didn’t talk much about these events until after I had moved to a new house. That’s when the stories were confirmed by relatives and friends. There were two places, specifically, that visitors had had these experiences. The first one was the guest room. The door leading to the sitting room was originally an outside door. Everyone who stayed in that room said they’d been awakened in the middle of the night due to hearing the door slam. But it never opened. I had heard the noise myself on numerous nights, but never spoke about it. The second hot spot in the house was the upstairs. In my bedroom, I ‘felt’ the presence of what I perceived to be a young woman in a long white gown standing by the windows. I also felt her in the master bedroom turret, again by the windows. What confirmed her existence was a conversation I had with my grandmother who lived next door. I had never discussed this ‘woman’ before with anyone. But one day, my grandmother asked me if I had any idea who was the woman in the white gown at the windows. She had seen her. I had only felt her. And despite me never telling my grandmother this, she saw what I had sensed. There were other ghost tales from the house as well, including a old, bearded man seen in the kitchen, a civil war era ghost in the hallway, and a ghost in my brother’s room. I had one cat who refused to go into the guest room at night. She would stand at the step leading up to the room from the family room and hiss. I did discuss the situation of my haunted house, including additional details, with one of the founders of T.A.P.S. / Ghost Hunters. It was a very interesting conversation. He felt the same as I did, that the spirits in the house were not bad, but I did have a connection with them. Nothing bad was ever felt in the house, but it was strange knowing we weren’t the only family/inhabitants there. In my book SHADOWS OF THE SOUL I have a little ghost girl. I enjoyed writing her into the plot. Perhaps living in a haunted house sparked the idea for this character. Do you have a haunted house or ghost story to share? I’d love to hear it. Thanks for stopping by the blog. Have a Happy Halloween! 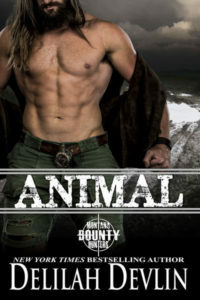 When Hell’s sexiest bad boy–Nicolai Valentine–defied Lucifer, he lost everything. Now Heaven’s fearless human warrior–Isabel Heart–has come to Nicolai’s rescue. 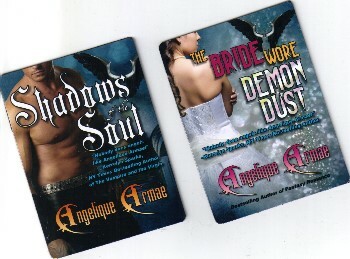 Send your name and email address to: aarmae@angeliquearmae.com to enter the drawing. Please put ‘magnet contest’ in the subject line. One winner will be chosen at random from the list of entries. US and Canada residents only, please. Angelique Armae is a native New Yorker who’s as zany as the city she grew up in. As a child her favorite toy was Emerald The Witch, a small doll with green eyes, green hair and purple skin. Miss Armae is published with Diversion Books and ImaJinn Books. Her books have garnered numerous awards and nominations, including the Sapphire Award, P.E.A.R.L. Award and Word Weaving Award. Angelique’s first novel, COME THE NIGHT, made Fictionwise’s Best of the Best list, rounding out the top five best selling dark fantasy books of the year. Her current book SHADOWS OF THE SOUL, a novel about angels, demons, vampires and the humans who interact with them, made Amazon’s Kindle Bestsellers list. When not working, Ms. Armae enjoys traveling, learning about the ancient Celts, exploring history and learning new languages. Angelique studied history and French literature at SkidmoreCollege.